Comprehensive and detailed coverage of full Pre-U syllabus with focus on skills and practical application. 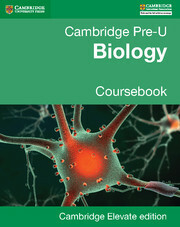 Endorsed by Cambridge International Examinations, supporting the requirements of the Cambridge Pre-U Biology syllabus. 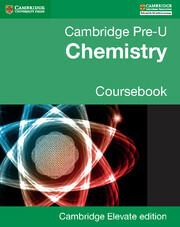 Pre-U content is added at relevant points to the popular Cambridge International AS and A Level Biology Coursebook. Available digitally via Cambridge Elevate and including comprehensive coverage of appropriate knowledge and skills. Written by renowned experts in advanced science teaching from leading institutions in the United Kingdom. Emphasis on contemporary contexts and relevant applications of theory to practice enhance the relevance and interest for learners. Self-assessment questions and exam-style questions included throughout to stretch students appropriately for the Pre-U curricula, allowing learners to track their progression. 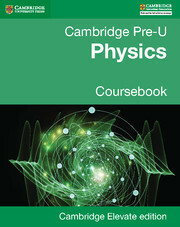 Comprehensive coverage of the Cambridge Pre-U Biology syllabus. Strong emphasis on practical skills and application of these skills to industrial and everyday contexts. More advanced content added to existing solid AS and A Level foundation.